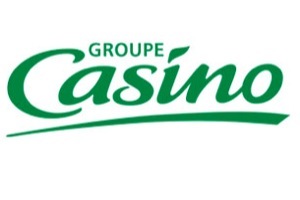 Casino is working with The Vision Institute, a research hospital in Paris, to experiment with Near Field Communications (NFC) technology, which lets mobile device users wave a phone over a short-range wireless receiver or tap the device to get information or make a purchase. If successful, NFC tags in Casino stores would show and speak product information, such as price, ingredients and nutrition values. The chain is expected to begin a live trial in 2012. NFC has potential for all mobile device users. It can create a digital wallet that replaces everything from credit and debit cards, reward cards, coupons, tickets and transit passes. Though it hasn’t taken off in the U.S. yet, Frost & Sullivan Research estimates that there will be 863 million NFC enabled phones by 2015. The frontrunner is Google Wallet, a partnership between Google and Citi, MasterCard, First Data and Sprint. Google has an NFC-capable Android smartphone with the Nexus S. Apple is not likely to include NFC on their upcoming iPhone 5, but is rumored to be working on its own version of NFC that will let users pay for goods and service via their iTunes account. When information and communications technology (ICT) is designed to work across multiple modes – audio, visual and tactile – it becomes more accessible to a wider range of users. It’s easy to see how NFC can truly benefit people disabilities. For the 10 million people in the U.S. who are blind or visually impaired and the 12 million people with a significant intellectual or learning disability that restricts their ability to read, such as dyslexia, an accessible smartphone that speaks information out loud makes a shopping experience much simpler. For the 24 million deaf and hard of hearing, NFC can supplement audio announcements – like airport gate changes – with visual alerts. For those with mobility issues, NFC can be used to control home environments, like turning on the TV and lights. Casino and The Vision Institute also are looking into ways to help blind shoppers use an iPad to navigate to their local Casino stores, and even to create shopping lists before they arrive. Meanwhile, U.S. companies Wal-Mart are working on NFC solutions to drive customer loyalty. Apart from creative e-coupon offers, let’s hope retailers consider the vast implications of making their stories easier to navigate and shop in for people with disabilities.